This is currently one of our favorite podcasts at the moment and a recent find for us that we cannot get enough of. They share their experiences as business owners and interview other rockstar females who are making it. As they once said on an episode: we’ll listen to “conversations with inspiring ladies who have designed a life they love by doing a like they love.” Their name, slogan, awesome content and bubbly personality episode after episode makes us love this one a lot. You can also join the Facebook Group here. 🎧 Listen to the All Up In Your Lady Business podcast here. Being Boss is a podcast by Emily Thompson and Kathleen Shannon. Each episodes speaks about topics we are all, at some point, curious about when having our own businesses. From Leaving the Day Job, to Working from Home, Client Management, and Behaving Like a Boss! I mean, if these titles don’t float your boat I don’t know what will. Emily and Kathleen do a fantastic job sharing tips, advice and interviews that’ll help you be a boss at work and in your life. 🎧 Listen to the Being Boss podcast here. She Means Business is a podcast hosted by Carrie Green, founder of The Female Entrepreneur Association and brings us short weekly episodes about turning your ideas into reality by having your own business and how to be successful at it. Some of our favorite episodes are: Building Your Dream Business while Living your Dream Life, From Extreme Burn out to the Business of Your Dreams, and Condition Yourself for Success. 🎧 Listen to the She Means Business podcast here. This is another fantastic weekly podcast hosted by Amanda Boleyn, that’ll most definitely inspire you if you are creating or running your own business. This podcast is packed with advice and stories to help you succeed in the business world. If you are considering subscribing to this podcast, check out some of our favorite episodes: Startup to Success, CEO with a Side of Chic, and Bringing Your Vision to Life. 🎧 Listen to the She Did It Her Way podcast here. I love this. I need some inspiration at the moment so I’ll be taking a listen to these soon! I always love listening to podcast. You can learn so much from them about just about anything. Thanks for sharing! I have yet to listen to a podcast, but these ones are intriguing! Thanks for sharing! Of course! Do check them out and let us know if you like them. I’m going to have to check these out!! 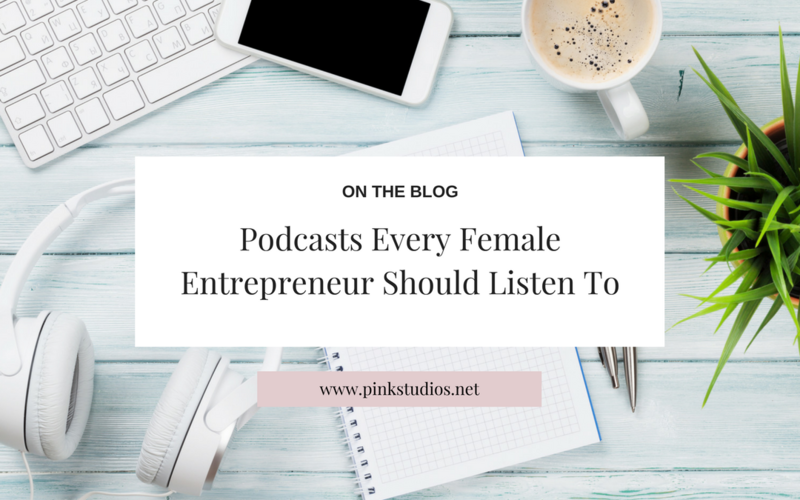 I’m a podcast enthusiast but I haven’t really harnessed too many business or womens podcasts as yet. Too enthralled with Murder podcasts haha! But I’m going to give these a go! Thanks for the recommendations! hahahaha! You should really check them out. I’ve been really enjoying podcasts lately! I haven’t heard of any of these though so I will be checking these out for sure! They sound like something I would enjoy. I love the post! Definitely check them out. They’re so good!